Did you know that you can add aloe leaves to your Farm Fresh To You delivery when you Customize Your Box? 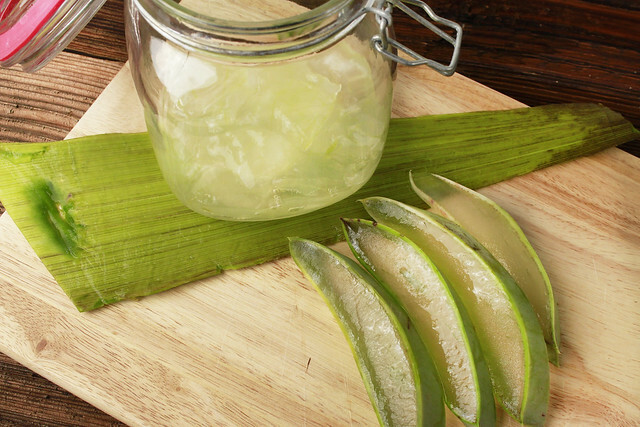 You’ve probably used aloe vera gel to heal your skin after too much time in the sun, but did you know that you can also consume it? Aloe is rich in vitamins A, C and E, which can help boost your immune system. 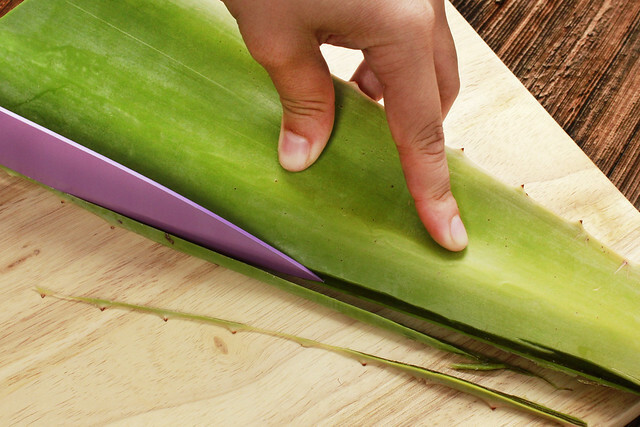 Take note, the size of the aloe leaf arriving in your box is rather large (approximately 1.5 pound). 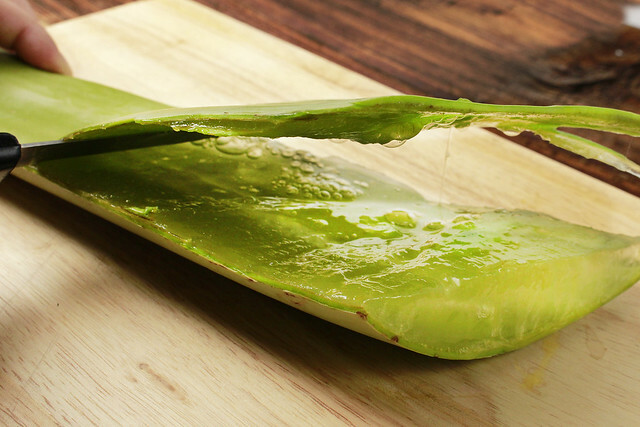 Your first reaction may be to panic – but don’t fret, just follow these 5 simple steps to harvest the gel from your aloe vera leaf. First, use a sharp knife to cut the base off the leaf off at a slight angle. You may also want to remove the pointed tip. 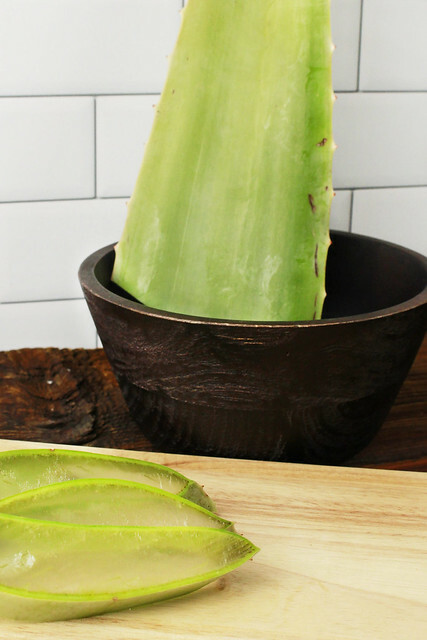 Let the aloe leaf stand upright in a container or in your sink for about 10 minutes to let the yellow sap drain out. This sap is called aloin, and while it is not toxic, it has a very bitter taste and may cause stomach discomfort, so it is best to dispose of it. 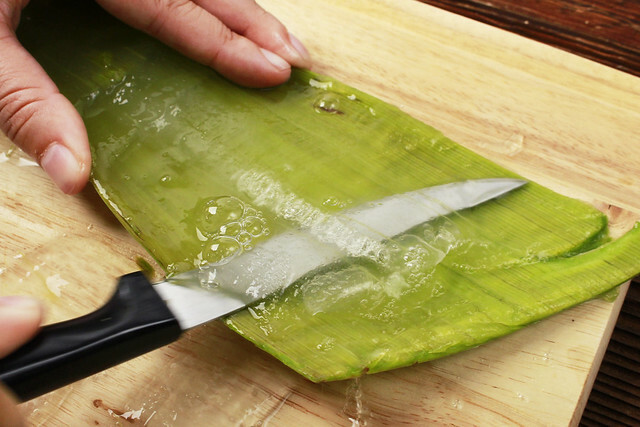 Use a sharp knife to cut the serrated edges of the leaf off. Use a knife or vegetable peeler to remove the thin outer layer from the leaf, revealing the clear jelly-like substance inside. We found it was easiest to switch from a larger knife to a paring knife for this step, but any sharp knife will do. Note: Be careful! The aloe will be very slippery. 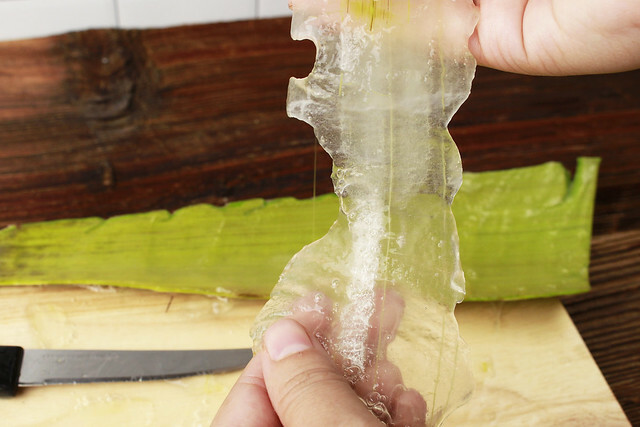 At this point, you can use the same technique to cut off the bottom layer of the leaf, or you can use a spoon to gently scoop out the clear substance. Remove any remaining green pieces of the leaf. If you notice any reddish-brown remnants of the aloin sap, you can cut it out of the gel or simply rinse it off. 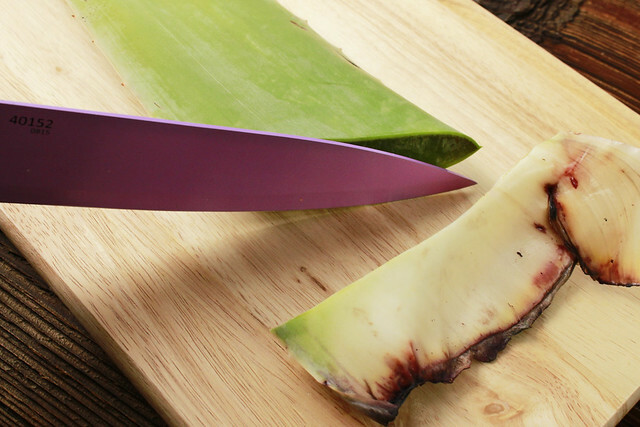 Cut the aloe gel into 1-inch cubes for easy storage and place them in an airtight container in the refrigerator. In many cases, you will likely want to puree the aloe gel in a blender for use in a face mask or to mix into your favorite juice or smoothie. Full Circle members – head on over to your online farm stand to customize your upcoming delivery. The market is open from noon on Thursday until 6 pm on your cutoff date.